Jarrod Emick grew up in Oral, South Dakota, attended Hot Springs High School in nearby Hot Springs, South Dakota, and later attended South Dakota State University. 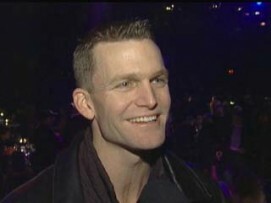 Emick’s Broadway debut was in Miss Saigon as a replacement for Chris. However, it was his next role, in Damn Yankees, that won him acclaim – a Tony for Best Featured Actor in a Musical, a Drama Desk Award for Outstanding Supporting Actor, and a Theatre World Award. Subsequent roles included Brad Majors in The Rocky Horror Show, Greg Connell in The Boy From Oz, and a role in the musical Ring of Fire. Apart from theatre, Emick appeared in the 1996 TV movie Andersonville. In 2005, he played the role of F. Scott Fitzgerald in Frank Wildhorn’s “Waiting For The Moon (musical),” opposite Lauren Kennedy. He was seen playing Michael Wiley in Contact at the North Shore Music Theatre. Emick played the roles of the Doctors in Next to Normal at the Milwaukee Repertory Theater through January 2012.